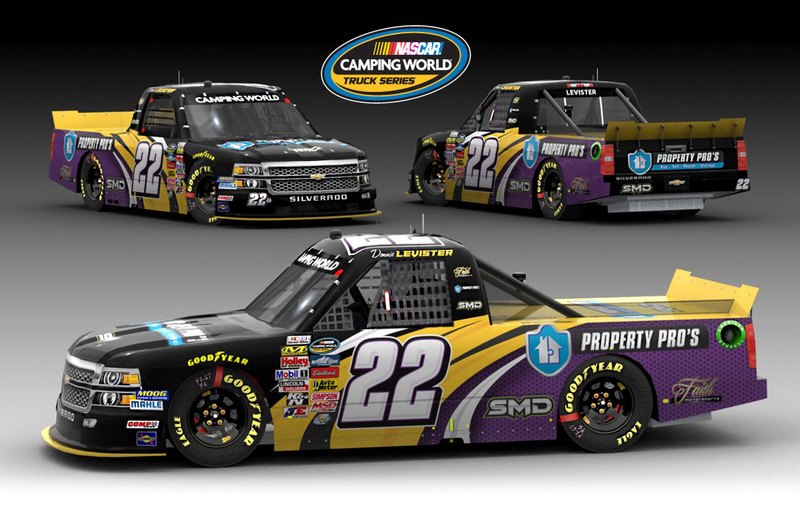 SMD created a NASCAR paint scheme design for the newly formed #22 Camping World Truck Series racing team from Faith Motorsports. The paint scheme will be unveiled during the teams NASCAR Camping World Truck Series debut during the 2016 racing season. 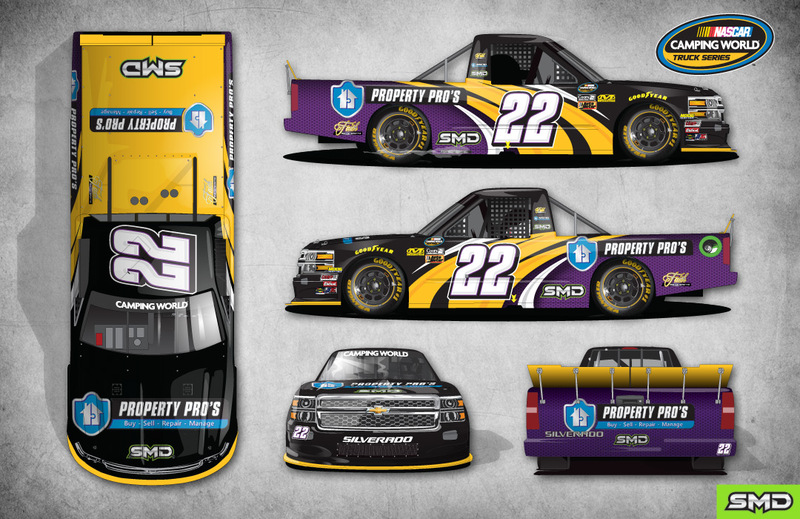 Shawnee, Kansas based real estate management company Property PRO’s, will act as the first primary sponsor on the #22 Chevrolet Silverado driven by South Carolina native and NASCAR Whelen All-American series rookie of the year nominee, Donnie Levister. 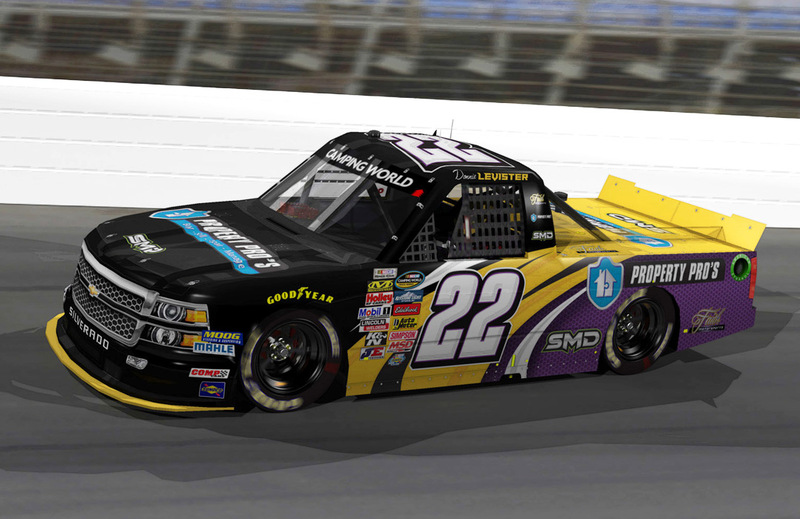 Secondary and contingency sponsors (including SMD) will be added to the roster as the off-season progresses. Some secondary sponsors will upgrade to primary sponsors during various races in the 2016 NASCAR schedule. The paint scheme for Faith Motorsports was created using elements from their new website design. The base paint scheme will remain the same as the sponsors change from race to race. As the team grows, separate paint schemes will be applied to the main sponsor of the team on an individual basis.